Provides an applications-oriented introduction to digital signal processing. 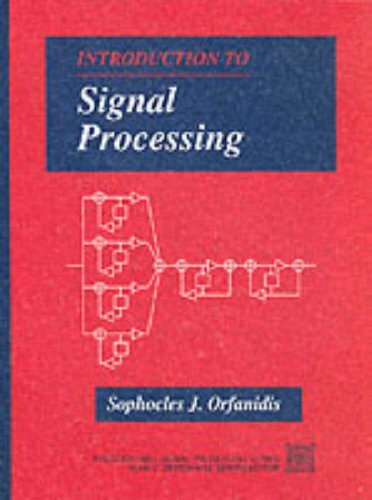 Orfandis covers all the basic DSP concepts and methods, such as sampling, discrete-time systems, DFT/FFT algorithms, and filter design. The book emphasizes the algorithmic, computational, and programming aspects of DSP, and includes a large number of worked examples, applications, and computer examples. Digital filters are the most versatile, practical and effective methods for extracting the information necessary from the signal. This book presents the most advanced digital filters including different case studies and the most relevant literature. The Kalman filter has been successfully employed in diverse knowledge areas over the last 50 years. The aim of this book is to provide an overview of recent developments in Kalman filter theory and their applications in engineering and science.